"Thunder...thunder...thunder...Thundercats!" Well, I certainly remember the theme tune, and this classic animation is regarded as one of the best (if not THE best) cartoons to come out of the 1980s by many. Thundercats originally aired between 1985 and 1989, with dozens of comics and a video game also released on the back of the show's popularity. The series was created by the American writer Theodore Walter "Tobin" Wolf (more well-known as "Ted" Wolf) and was animated in Japan, which would explain the sophisticated and detailed animation. A remake of the cartoon (and a resulting resurgence in popularity) aired in 2011/12, but for this article I'm going to concentrate on the original series. Thundercats are cat-like humanoids (called Thunderans) that originate from the planet Thundera. Their home planet is destroyed and a remaining small group manage to escape on the one surviving space ship (with half engine power) which is attacked by mutants. They crash-land on a nearby planet called Third Earth. The eldest Thundercat and the ship's commander, Jaga, is killed in the crash while the other seven survive by being in stasis tubes. 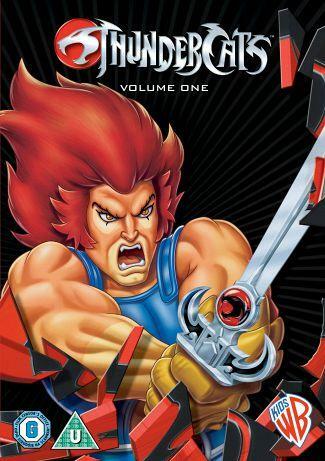 Lion-O takes over the role as leader and helps to protect the survivors with his "Sword of Omen" weapon. The group befriends various nearby groups on the planet and then design and build a fortress. However, they are under constant threat from evil villains such as Mumm-Ra and mutants that have already killed the other remaining Thunderans. Thundercats comic No.2 by Marvel UK with free Panini stickers album. 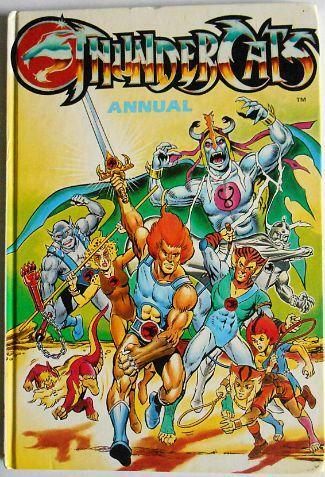 24 issues of a Thundercats comic were produced by Marvel's Star Comics division between 1985 and 1987. Marvel UK produced 129 issues. A side-scrolling, Thundercats computer game was released by Elite in 1987 for both the 8-bit and 16-bit home computers. 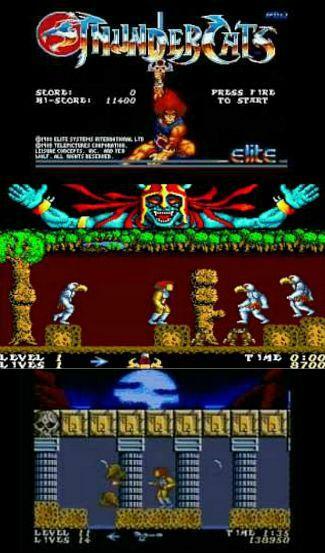 The montage above features screenshots from the Commodore Amiga version. I recently spotted this unopened 1980s Mumm-Ra action figure with light-up eyes selling for £289.99 on ebay!